A pair of rare white giraffes have been spotted in Kenya, to the delight of local residents and conservationists. The reticulated giraffes, a mother and child, suffer from a genetic condition called leucism, which inhibits pigmentation in skin cells. Unlike albinism, animals with leucism continue to produce dark pigment in their soft tissue, which explains the white giraffes’ dark eyes and other colouring. 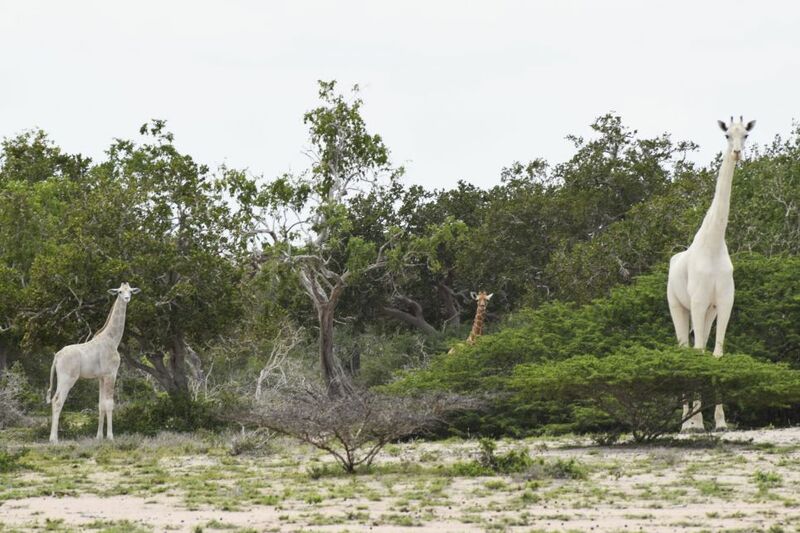 After local residents tipped them off, conservationists found the giraffes in the Ishaqbini Hirola Conservancy in Kenya’s Garissa county.